How to get a good sales person if it is not possible to hire one? In my previous post we saw that it is better not trying the impossible and hoping to find the one and only solution of all our sales problems: the ultimate Senior Sales Person. Finding an UNEMPLOYED GOOD SALES?! Isn’t it an anomaly anyway?! If he is good he is not unemployed, is he? Is it possible to hire a good salesperson? – in B2B sales of IT Consulting Services, NO. 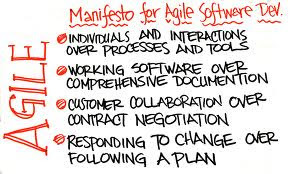 My prime customers are business-, and IT-consulting companies so for them Agile means Scrum and Kanban and Sprints and Product Owners and Backlog Lists and all these things… Agile Methodologies were invented for software development. How could a software development methodology marry with sales methodologies? Now let’s translate it to Agile Sales!